Gail Greenman is seeking a spot on the West Linn-Wilsonville School Board for five reasons: the students, teachers and staff, parents, the family unit and the community as a whole. "Education is so important in everything that we do. Schools not only provide an education, they provide a community; they provide the ability for children to learn how to socialize," Greenman said. "I believe we do that tremendously well here in West Linn-Wilsonville and I want to contribute. This has always been something that I've done literally since I was a kid and I'd like to continue." If Greenman is elected this May, she plans to bring her skill set in education and public policy to the table. For starters, Greenman would like to see more communication between the WL-WV School Board and parents, easier access to resources for students and more student involvement at the board level. "I think communication is the key to solving so many problems, even before they start," she said. Greenman's fiery passion for education and public policy sparked when she was 6 years old. The candidate, who hails from Maryland, remembers when her father took her along when he voted during the 1980 presidential election. "He took me and got his ballot and stood me on his feet almost as if you're dancing. ... (We) went through this entire process of why it's important and it's our right and responsibility. We then got chased off by a woman working the polls saying I wasn't 18 and I wasn't allowed to vote," Greenman recalled. "I've always remembered that moment." When Greenman was 16, she ran for student member of the Montgomery County Board of Education in Maryland, but did not win the election. That was Greenman's first taste of campaigning. Greenman earned her bachelor's degree in history from Indiana University and during her junior year of college, spent her second semester in Washington, D.C., interning for an education association doing public policy work with the National Association of Federally Impacted Schools (NAFIS). Upon graduating, Greenman went from wanting to be a high school history teacher to wanting to work in public policy. She did work as a public policy intern for the American Federation of Teachers before an opportunity with NAFIS opened up. One of her goals working with NAFIS was to increase money for the program, which funds about 1,300 school districts across the country. This benefited school districts serving children of uniformed services, Native American children and children living in federally subsidized low-rent housing. "They use this money to make payroll, pay the electricity bill, to do very basic things in some cases, and without it, some school districts would literally close their doors," Greenman said. She worked at NAFIS for about 10 years in D.C. before moving to Molalla in 2006 to do government affairs consulting work for the National Council for Impacted Schools. She also was on the Molalla School District's Budget Committee. In 2010, Greenman became part of the West Linn community and now works as the director of national affairs for the Oregon Farm Bureau and has two children that attend Trillium Creek Primary. 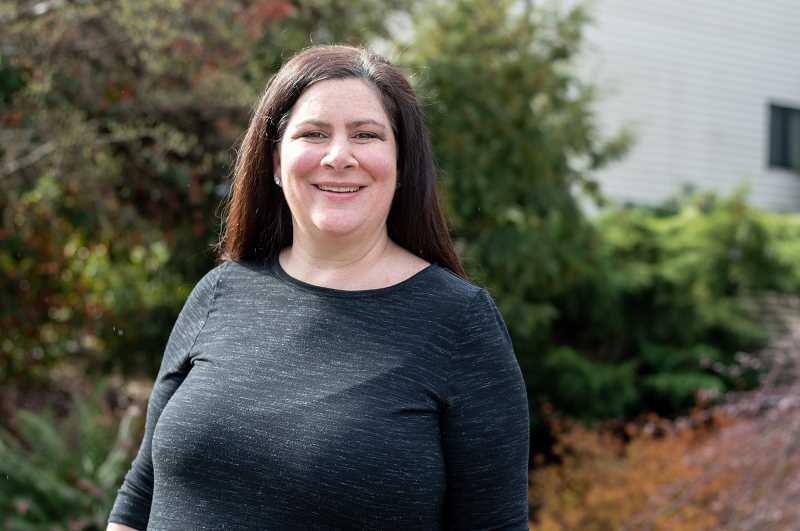 "As a mom right now and continuing that education love, I'm really involved at the school (at) the PTA level," said Greenman, adding that she also has served on several of the school's committees. "My passion has always been with children and with public policy, and I've always been able to mesh them together and do it really effectively. This is another way of doing that and bringing some unique attributes to the school board." If elected, Greenman would like to make resources more readily available to students in crisis. "There was a recent meeting in February. The school board and a number of students came to speak and they all had different stories. They were painful stories, but they all had one thing in common and that was (they) didn't really know where to go for help," Greenman said. "While we have these amazing resources, it's our responsibility to push that information out." to have a student member on the WL-WV Board of Education. "Bringing that perspective that we as adults don't have and also engaging them in the civic process and responsibility," she said. "What an amazing opportunity it would be for our kids that are absolutely wonderful and just giving them another enhanced opportunity." Another important improvement Greenman would focus on is creating more informal meetings for parents, like monthly town hall sessions. "(The allotted time for public comment at a) school board meeting is three minutes. There's not really any dialogue back and forth and I think it would be more comfortable for a lot of people (to) provide that opportunity," she said. After speaking with several parents about their hopes and dreams for the WL-WV School District, Greenman said she doesn't presume to have all the answers or know all the problems, but hopes she will have the opportunity to continue listening and learning if selected to serve on the board. Greenman is running for board Position 2 against current board member Chelsea King Martin. Position 4 is the only other board seat open in the May 21 election and is sought after by Jordan Ferris and Christy Thompson.